Kiwi women have long held their own when it comes to songwriting. From a 17-year-old Shona Laing performing her self-penned ‘1905‘ on Studio One’s New Faces, to Bic Runga becoming the youngest inductee into the NZ Music Hall of Fame; from the 80s girl power of Sharon O’Neill, to the chutzpah of Anika Moa and Gin Wigmore. They know a chorus from a coda — in this spotlight we reflect on songs and songstresses that have found their way into Kiwi hearts. Shona Laing's long musical career began with '1905', a song dedicated to Henry Fonda. 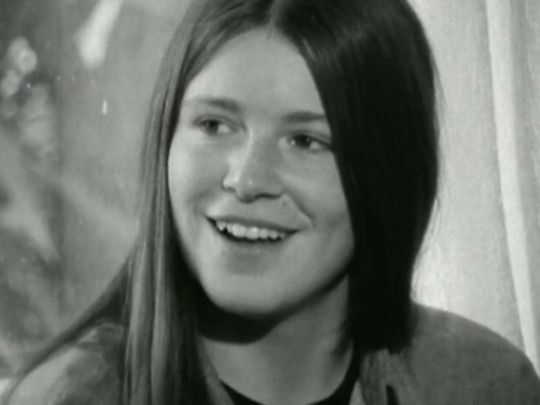 At 17 years old, Shona took the song to second place on talent show New Faces in 1972. Early the following year it rose to number four on the NZ top 10. 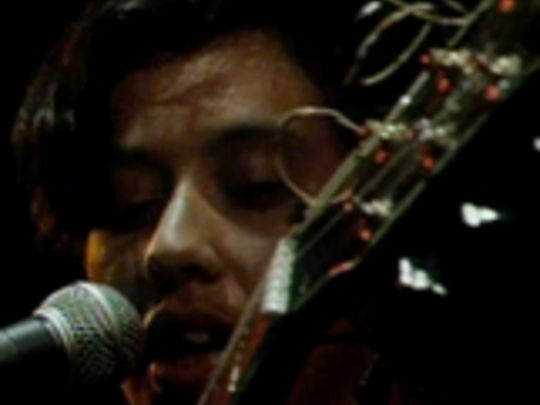 This short live clip, thought to be filmed at Christchurch Town Hall, captures Shona in extreme close-up, serving to magnify the emotional intensity of the song. Don't be fooled into thinking this is a mimed performance; her voice is absolutely spot-on, and the crowd reacts with rapturous applause. This episode of C4's music series Homegrown Profiles features singer/songwriter Anika Moa, who was signed to international label Atlantic Records and recording her debut album Thinking Room in New York when she was barely out of her teens. Moa talks about growing up in a musical household in Christchurch; being discovered through the annual Rockquest competition; her American experience and the decision that it wasn't a good fit for her; and her return to New Zealand and the happier experience of making her second album Stolen Hill. 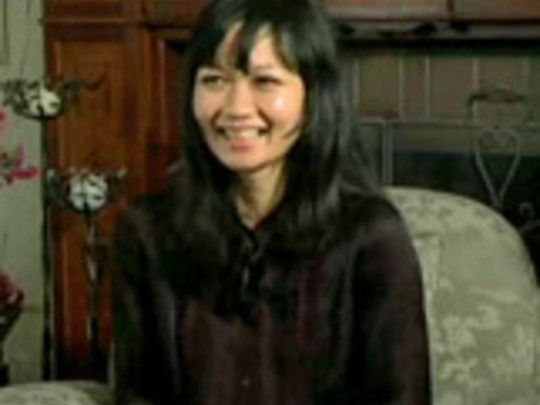 The third single from Bic Runga's 1997 debut album Drive got to number seven in the NZ charts, 10 in Australia and 26 in Ireland. It nudged the UK charts at 96, and was included on the soundtrack of hit comedy American Pie. Directed by UK photographer/video director Karen Lamond and made to showcase Runga internationally, the video shows the singer shyly stalking the hipster of her 90s dreams, as he stocks the shelves of an Italian deli. Back at her place, the camera pulls back for an unexpected end. An earlier video for the single also exists, directed by Kiwi talent Joe Lonie. International chart-topper Kimbra Johnson did a lot of musical growing up in public. Twelve months after featuring on kids' TV show What Now?, and two years before her first Rockquest success, this NZ Music Commission piece offers a tantalising glimpse of her as a remarkably unselfconscious 12-year-old — working with schools' music mentor Chris Diprose at her Hamilton intermediate. She's already very comfortable with the recording process and considerably more advanced in her music making than some off-camera classmates, who provide an unseen Greek chorus. Nostalgia can take many forms: and certainly many a middle-aged memory swirls back to this early Sharon O’Neill video, a nostalgia further fuelled by the long lack of a decent quality master copy. The classic clip about romance in foreign climes — or perhaps a romance that unfurled somewhere else entirely — opens with O’Neill’s backlit image reflected in the water. But it is the scenes of O’Neill in a rippling pool wearing a shark tooth earring that seem to have left the longest impression on males of a certain vintage. The making of this Anika Moa video arguably puts the singer's heady early rise in a nutshell. American label Atlantic Records flew an executive down to New Zealand to monitor proceedings, and ensure that the singer looked as slim on screen as possible. Moa and director Justin Pemberton came up with the idea of Moa lusting after every male she passes. The taxi is driven by actor Antony Starr (before Outrageous Fortune). As for Moa, she soon returned home from the US. A local top five hit, the song ended up on the soundtrack of Julia Roberts romance America’s Sweethearts. For fourth album Belle (2011), Bic Runga found new collaborators, including brothers Kody and Ruban Nielson (The Mint Chicks), with Kody becoming Belle's producer and Runga’s partner. 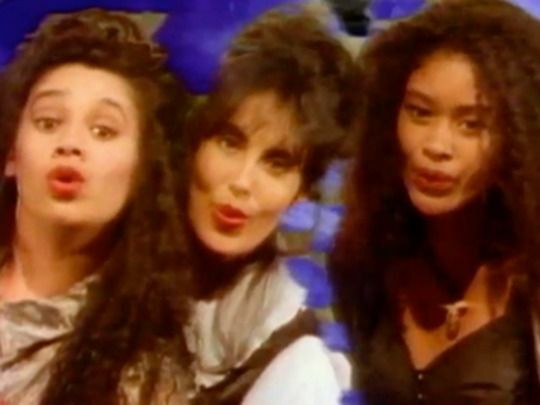 ‘Tiny Little Piece of My Heart’ was the first result, and opening track; The Herald's Lydia Jenkin called the girl group style number "an irresistible piece of pop, deceptively effortless in its spacious groove and sweet keyboard riffs". 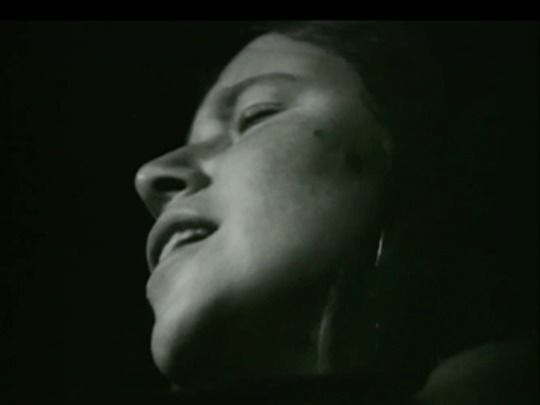 The black and white video for the jaunty song about moving on, sees Runga lolling about on a bed with a vintage camera. It was directed by fashion photographer Oliver Rose. Canadian import Tami Neilson showcased her range with fourth album Dynamite!, colouring her country roots with lashings of rockabilly and gospel — plus this track, where she channels torch singer Peggy Lee doing a “sultry nightclub blues” (as the Herald's Graham Reid put it). The black and white video reflects the deliberately retro, minimalist vibe of the song, with Neilson grooving at front and centre while guitarist, bongo drummer and a trio of doo-wop vocalists chime in behind. 'Walk' won Tami and brother Joshua Neilson the 2014 Silver Scroll songwriting award. 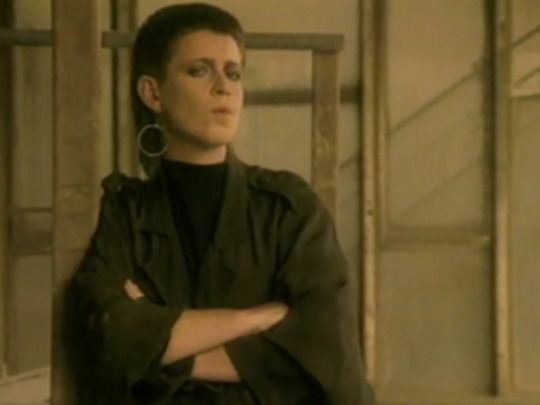 Initially avoided by New Zealand radio stations — who in the same period, showed as little interest in playlisting Crowded House classic 'Don't Dream It's Over' — this became Shona Laing's biggest international single, in a career notable for stylistic change. '(Glad I'm) Not a Kennedy' got to number two in NZ, and number 14 in the US rock charts. Here, the acoustic songbird of 1905 is recast as serious synth-pop singer, in a clip which mixes native beaches, brutalist architecture and poignant archival footage of the ill-fated US president. A teenage Anika Moa attracted the attention of Atlantic Records on the strength of this song, becoming the first Kiwi to sign to a major international label before having released an album at home. 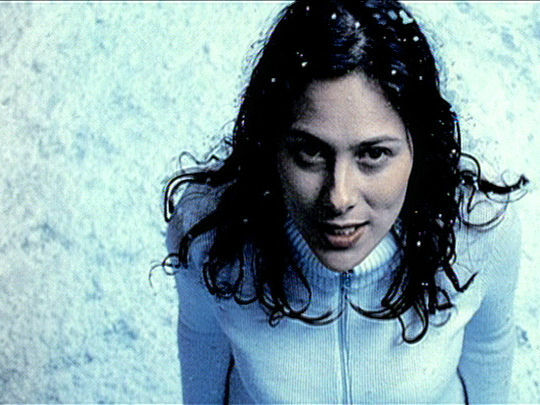 The music video places the camera above Moa as she sings about objectification in a house that, even by Kiwi standards, needs a heating upgrade. 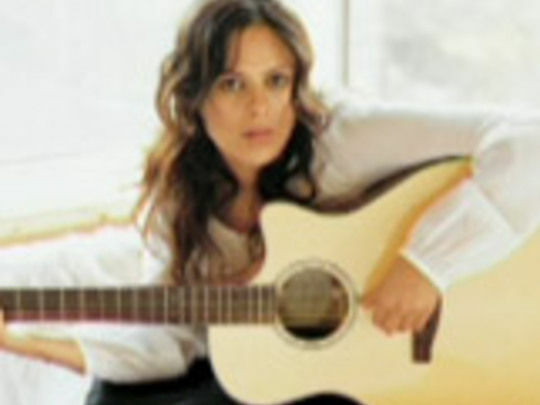 At the 2002 NZ Music Awards ‘Youthful’ won Moa Songwriter of the Year. In a 2005 Homegrown episode, Moa recalled feeling shy making her first music video. “Everyone thought I looked like Beth Heke." Thanks to its control of light and texture, this is surely one of New Zealand's more luxurious music videos. As the song progresses, performer Hollie Smith takes on the persona of the central figure in a series of classic artworks — from the Mona Lisa, to a portrait of Frida Kahlo, to Edouard Manet's 1882 painting of a Parisian barwoman at the Folies-Bergère nightclub. Director James Solomon was later the prime mover behind 2015 web series K'Rd Stories. Whānau is at the forefront of this episode from a series made for high school music students, which features bilingual Māori jazz and soul diva Whirimako Black. After an introduction in te reo, there’s an intimate acoustic performance of ‘Te Tini O Toi’ from her award-winning debut album Shrouded in the Mist. It’s a lullaby written for her children — and grandchildren to come — so they will know where they come from. Black also honours her grandfather, a multi-instrumentalist who began encouraging her to make music when she was three years old. 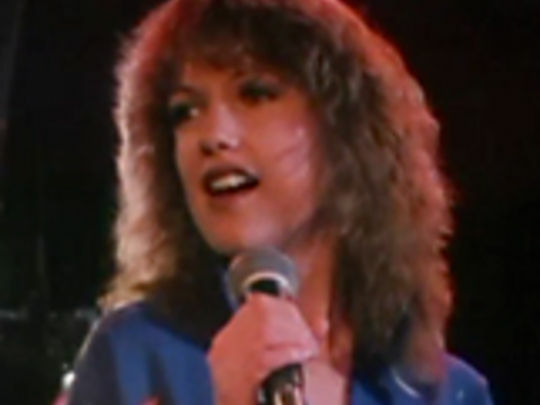 'Maybe' was the title track from Sharon O'Neill's 1981 album and she wrung every drop of emotion out of the performance. The video sees her during a sad break up, wandering around the flat in satin pants and a cavalry jacket and slumping against walls as she ponders on exactly how things came to this. It's in glorious black and white apart from the relationship flashbacks during the bridge, which oddly look like a montage from a sitcom. 'Maybe' reached No.12 on the NZ Singles Chart. One of the gentler songs on Shona Laing's 1992 album New on Earth, this warm, Latin-tinged number is in polar opposition to the staunch, synth-laden stylings that won attention on her previous release South. Karyn Hay's purposefully minimal clip concentrates exclusively on Laing, highlighted by red and blue filters as she plays acoustic guitar. Elsewhere, the stylised symbols seen on her face form part of an interstellar background. Laing has called New on Earth "the best record I ever made". 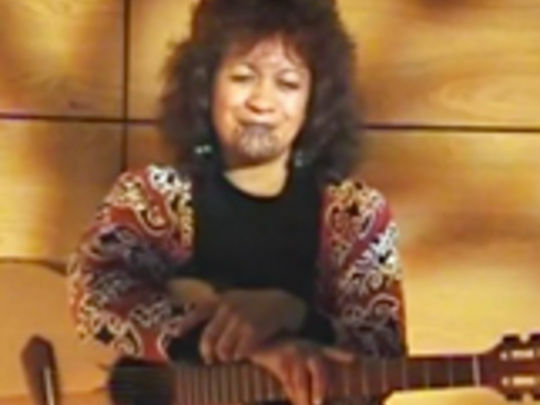 Mercy of Love won Laing her second Silver Scroll songwiting award in 1992. The title track from Moana and the Moahunters’ gold-selling first album celebrates wahine and Māori cultural pride, via what singer Moana Maniapoto called “haka house music”. 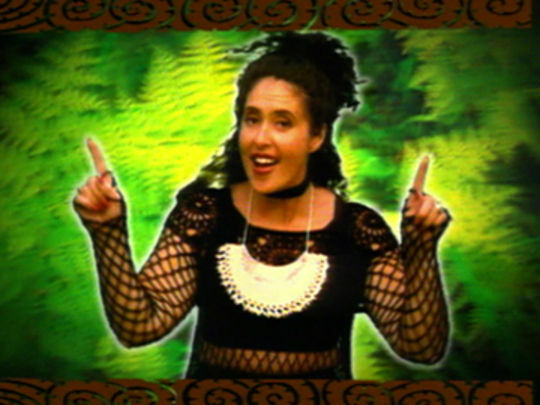 The fusion of traditional Māori sounds with contemporary grooves got to number nine in the charts. It was co-written with Andrew McNaughton and features vocalist Hareruia Aperahama (‘What’s the Time Mr Wolf’). 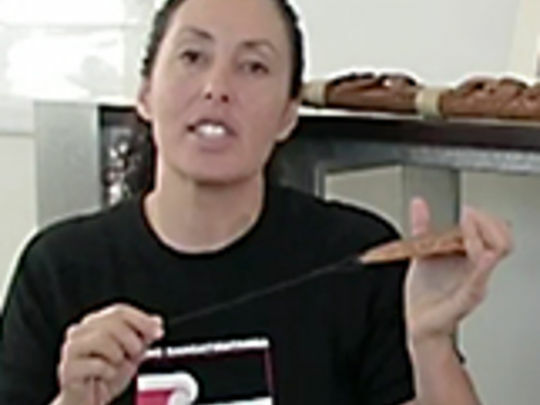 Kerry Brown's video cuts the group singing together with kapa haka (the acclaimed Te Waka Huia) and whānau playing. 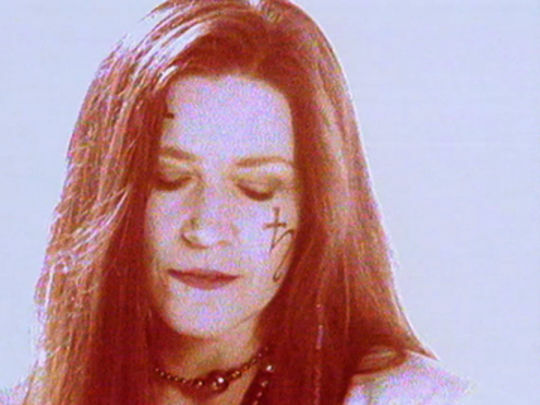 Brown also directed the video for the group’s groundbreaking ‘AEIOU’. Kimbra's second single, the jazz inflected 'Simply on my Lips', was recorded when the future pop star was 16 and still at school. 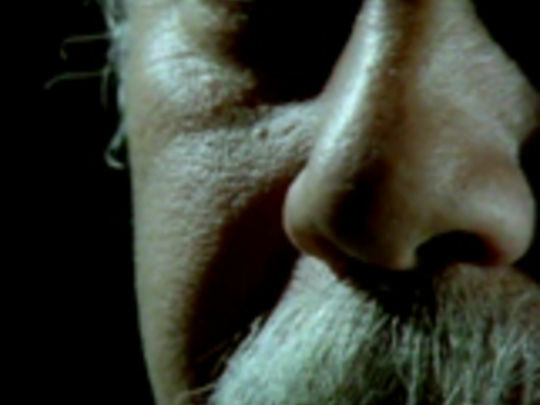 The starkly simple black and white video was directed and animated by Joel Kefali (later one half of award-winning video team Special Problems). 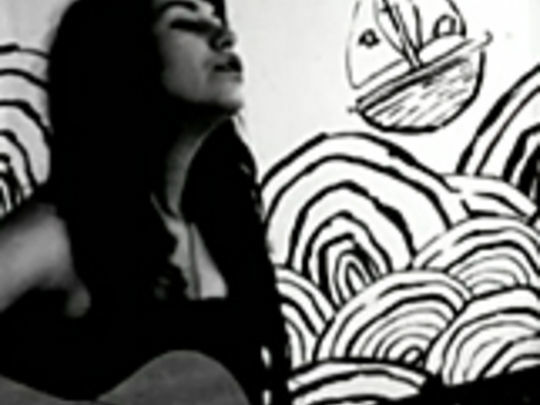 It placed Kimbra with her guitar in the corner of a room, whose walls became a canvas for Kefali's line drawings. The result won the Best Breakthrough category at the 2007 Juice TV awards. Within months, Kimbra had signed an international management contract and relocated to Melbourne. This episode of C4's music series Homegrown Profiles features singer/songwriter Bic Runga, who burst onto the New Zealand music scene in 1997 with her record-breaking debut album Drive. Since then Runga has had both local and international success and released two further hit albums, Beautiful Collision and Birds. Runga talks about growing up in a musical household (her mother and two older sisters are all singers), the success of Drive, and her "difficult second album", which was released a full five years after her debut. Half a decade before the electronic beats of Oceania, Hinewehi Mohi's debut single is a gentler, more soulful affair — with the constantly moving close-ups of director Niki Caro's video underlining the song’s heartfelt simplicity. Co-written with Doctor Hone Kaa and Ardijah founding member Jay Dee, the song pushes the importance of rising above adversity, and having the courage to evolve as a people and a nation. The latter would be challenged seven years later by another te reo performance from Mohi — of the national anthem at a rugby test match.